Is it possible to improve the predictability of sales? Actually, yes! As a sales rep or sales manager, there are keys to building a reliable pipeline and closing viable opportunities. 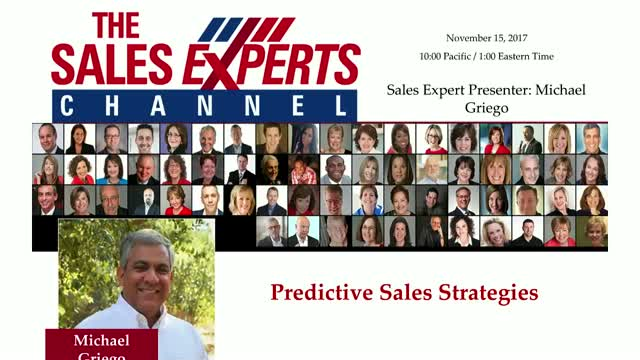 This session will provide a strategic and practical game plan for predictive sales. A bonus gift from speaker and world-class trainer, Michael Griego, will be offered to each attendee.